When we reviewed the Honor 7X last month, we praised it for the incredible value that it provides. With the Honor 7X, you can get a great smartphone experience with few compromises for less than $200 in the US. The Honor 7X’s competitive pricing makes it an undoubtedly excellent choice for first-time or young smartphone users. Those users will especially appreciate the new red color option that Honor has just unveiled here at CES 2018. To be fair, we have seen other manufacturers offer their smartphones in similar red color options. However, virtually all of those devices have been priced at double or even triple the price of the 7X. Now, the beautiful red color option is not only accessible to a larger, more price sensitive market, but also in a package packing a serious punch. We have already covered the Honor 7X in great detail in our comprehensive review. As you may have guessed, the red color option is identical to the others, aside from the fact that it’s, well, red. Thankfully, Honor has really paid attention to the detailed areas of the hardware. For example, the camera lenses have shiny red rings that nicely complement the rest of the phone’s matte red design. The prominent antenna lines also exhibit a red hue. When all of these elements come together, we are left with a stunningly beautiful smartphone. 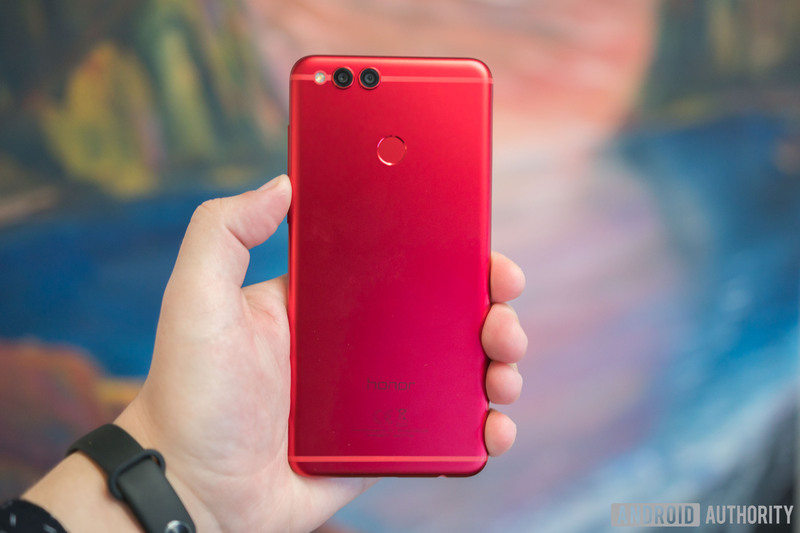 The red Honor 7X will be available for sale on Valentine’s Day (February 14) in the US, Russia, India, and Western Europe. We expect it to sell out quickly, however, as Honor has produced just 20,000 units. If you would like to try your luck, Honor is also including red co-branded Honor-Monster AM15 headphones for the first 100 buyers in each country. Head here for more CES 2018 coverage!